Oh the feeling of a finish....this one came off the Coronet today. 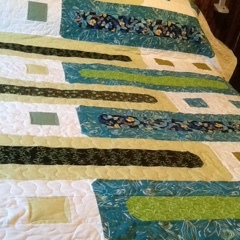 It was a delight to quilt this one, called Mail Slot. I am trying not to spend too much extra time when possible...so, meandering, loops and a little ruler work on the squares. I thoroughly enjoyed it...everything went as planned, Coronet(Lily) works like a purring kitten. 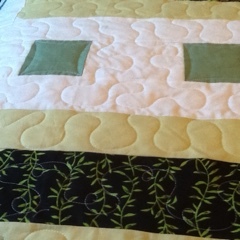 Have to try to finish my hand quilting on this one tonight. Yeah. I love celebrating finishes. Let the party begin! Beautiful too! 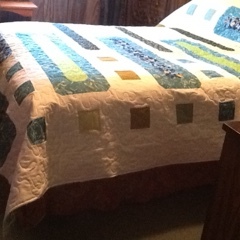 Your quilt looks wonderful! Congrats on a wonderful finish! 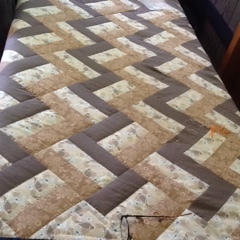 Love the way you quilted it. Looks great.